Once you have an accident, and you need to file a claim, you will need to think about several insurance terms. These are the ones that you need to know before you file the claim so that you understand what they are talking about. There are six of them that are very important. Without knowing these ahead of time, you could be facing a difficult situation. You may not understand what it is you are supposed to do on your side, and if that is the case, it can slow down the process of the claim going through at all. Here are the six insurance terms that you must know before you file a claim to ensure that the entire process goes smoothly. When people talk about filing an insurance claim, it will typically be in reference to a car accident. This is what you must do immediately so that they can send someone out to evaluate the situation and make you a payment. 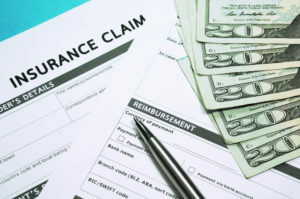 There are other claims that you can file in regard to insurance. You could file a worker’s compensation claim, or a life insurance claim, both of which are easy to do. In this example, we will look at the steps that you need to take when filing an auto insurance claim. If you have had an accident, contacting the police is the very first step. By doing so, you will have a legal paper trail of what actually occurred. At the very least, you need to call the DMV to file your accident report, something that may be required in your state. The second step of the process is to collect all of the information that you can about your car accident. Third, you need to call your insurance company as quickly as possible. This is where you will file the actual claim. The fourth step is to have a specialist assigned to you that will move toward settling the claim rapidly. This will involve a claim adjuster. They will determine that you can file for a partial loss, or a total loss, plus they can decide if you can file because you have gap insurance. The fifth step of the process is fixing your vehicle once you have received the money from your insurance provider. You can expect your rates to go up, even if it wasn’t your fault. Why Do Your Rates Go Up If It Was Not Your Fault? This is one of the most troubling aspects of this type of insurance. Essentially, they are paying money out now, and they are going to get it back from you over the course of time. This will cause your rates to go up very rapidly. As a result of that, you may have to pay rates that are much higher for the span of a year or two. Once they have the money back from your premiums, they will then lower it back to normal, pending you have not had subsequent claims that you have also filed. What Are The Six Insurance Terms That You Need To Know? Although there is a huge list of terms that is related directly to filing a claim, there are several that correspond to virtually any type of insurance where you can file a claim to take care of the problem. For example, actual cash value is a term that you need to know. This is the amount that your insurance provider will consider when considering how much to pay you. They actually scan the vehicles that have filed claims that are similar to yours, and based upon this data, you will receive a check. The second term as claimant. This refers to you, the person that is going to file the claim. Deductible is another term that you need to be familiar with. When you originally got the policy, they told you how much the deductible was going to be. If your premiums are high, your deductible will be low. If you have low premiums, your deductible is usually high. This is the money that you need to pay up front in order to start your claim. The fourth term is replacement cost. This is going to represent the amount of money they will pay you if it is determining that your vehicle is total. Extended coverage is another term which will apply to other coverage that you may have which may help you get more money. Finally, when you file a claim, you are going to contact your carrier. The carrier is simply a term that references your insurance provider. It’s very important to know these terms because as they are talking to you, they will speak as if you understand what they are saying. They will use these terms, and if you already know the definitions, it will be much easier to follow along. It will help you understand what type of a policy that you have, what deductible you need to pay, and how soon they will make a payout. These are things that pertain to your particular claim that you have just filed. By understanding this ahead of time, it will make it much easier for you to comprehend what is going on and how soon you will receive the money. Now that you understand a few of the terms that you must know before you file an insurance claim, you will be ready to do so if that is what must occur in the next few days. If you file a claim the same day, it is likely they will send someone out within 24 hours to examine the situation and then send to the combined underwriters of Miami. Based upon their observations, and looking at other claims in your area, they can come up with a figure. That is the money you will use to repair your vehicle, or if it is total, how much they will give you to get a new vehicle based upon its current value. How is Wi-Fi Redefining The Workplace And Productivity?